BroadNet Technologies offers prized Bulk SMS Services, SMS Marketing services for customers from all over the world. We Customize a Bulk SMS & Short code Package at the most competitive price rates in the industry. We are confident that the bulk SMS services we offer will work wonders for you in saving cost and enhance efficiencies for you. 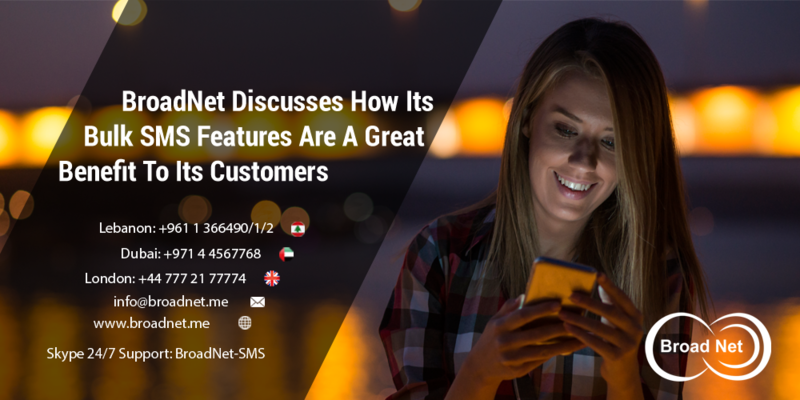 BroadNet Technologies offers second-to-none SMS Service to any company, individual and business dealer by delivering second-to-none SMS marketing solutions. We are the industry’s fastest growing and reputable SMS solutions providers that cater to the needs of both corporate and individuals from all parts of the world. To increase support to our clients, we also do provide value-added services such as customization and integration. We offer second-to-none 24/7 customer support via email and telephone. We pre-define the message to be sent, volume of messages sent, dates and time of the campaign. BroadNet Technologies is the premier or the most dependable bulk SMS Company in the world. Our major objective has always been to achieve our client's goals and needs. We offer a broad range of bulk SMS plans you can select which one ranges within your budget. We offer our services at the most affordable price rates in the industry. Our technicians support 24 x 7 to resolve technical issues and help to get the most favorable output in your business. For more information on bulk SMS services and its characteristics, please visit our website www.broadnet.me.